With higher divorce rates and separation of cohabiting couples, stepfamilies are on the increase; in 2009, 19.1% of marriages involved the remarriage of one partner and 15.8% involved the remarriage of both partners. But in real terms the number of stepfamilies is actually far bigger than this as stepfamilies are more likely to living together than married. When couples split up, children usually live with their mother. But a significant 18% of stepfamilies are made up of biological father and a stepmother and this number is on the increase. Sadly despite stepfamilies being the fastest growing family type, the negative stereotypes around stepmothers still persist. It’s still commonplace that the word “wicked” is attached to the front of stepmother. While the stereotypes around mothers tend to be loving and nurturing, what is it about stepmothers as opposed to stepfathers that makes us immediately think of the negative? 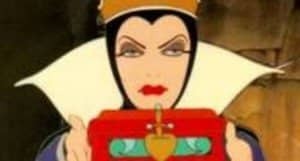 Are some women born to play the wicked stepmother or does one simply become “wicked” as a response to difficult, unnatural, family situation? Having children from a previous relationship makes your chances of divorce 50% higher than those marriages without kids, so the pressure on stepmothers to make their relationship work is huge. Added to this, disliking stepmothers seems all too easy.They are often treaedt with suspicion and mistrust. But why is this? Most issues come from the painful mix of feelings, loyalties and practicalities involved; in a new stepfamily nobody quite knows where they stand anymore. Kids whatever their age are caught in the middle of loyalty binds between their mum and dad; so as step mum you are by far the easiest person to blame. Through a child’s eyes you are also real concrete proof that mum and dad won’t be getting back together again; moreover you’ll even get blamed for this. Up until the 20th century there was a stepmothers were almost the norm as many women died in childbirth. But fortunately this is now rare; now it’s the crisis of divorce that has means stepmothers are common again. Stepmothers used to be heroines to some extent saving a motherless child from a life underpinned by grief. But today stepmothers are still managing grief leftover from a relationship that went sour, children grief for the loss of their mum and dad being able to be together. But these grief stricken children have a lot of power. Often they see their mum struggling to adapt to life as a single parent, their dad alienated, wronged, or guilty.